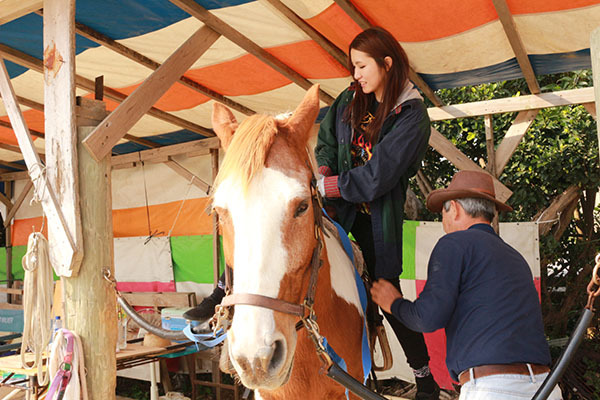 The Tamaki Horseback Riding Farm is situated along Route 331 on Okinawa’s southern coastline, one of very few stables on the island.Two horses live in the stables surrounded by sugar cane fields and situated in a beautiful natural setting: Midori Chan, a pony, and Ai Chan, as tall as thoroughbreds weighing more than 500 kilograms (1,102 lb). 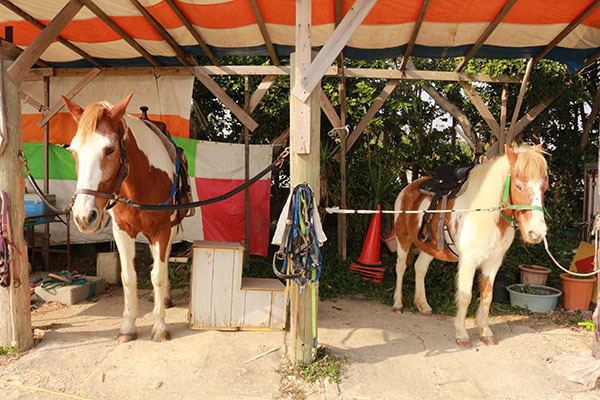 They are well trained and calm and give a safe ride to both beginners and advanced riders, from children to adults. There are three riding plans: Play Riding for about five minutes (300m/828yards); Western Riding for about 30 minutes; and Parent and Child Riding for about five minutes. According to your skill level, the staff will assist you by standing close to or far from you and your horse with a lead rope.First, approach your horse from the front and greet her by looking in her eyes. Then, groom her coat with a special brush and pat her head and mane gently so you can bond with her little by little. In the Western Ride plan you can ride outside the grounds. Now it's time to go horseback riding! A staff member can help you get on. Even if it’s your first ride on a horse, you don’t need to be nervous because you will without doubt have a wonderful riding experience, bonding with your horse after grooming, feeding and petting her. 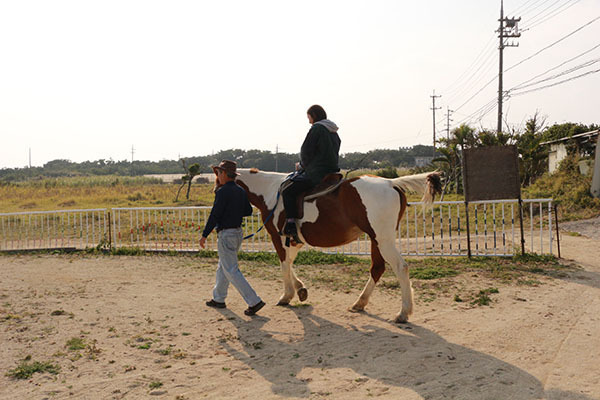 The bigger Ai Chan uses a cowboy-style Western saddle, which is big and steady and suitable for children and beginners. After riding, enjoy feeding your horse. 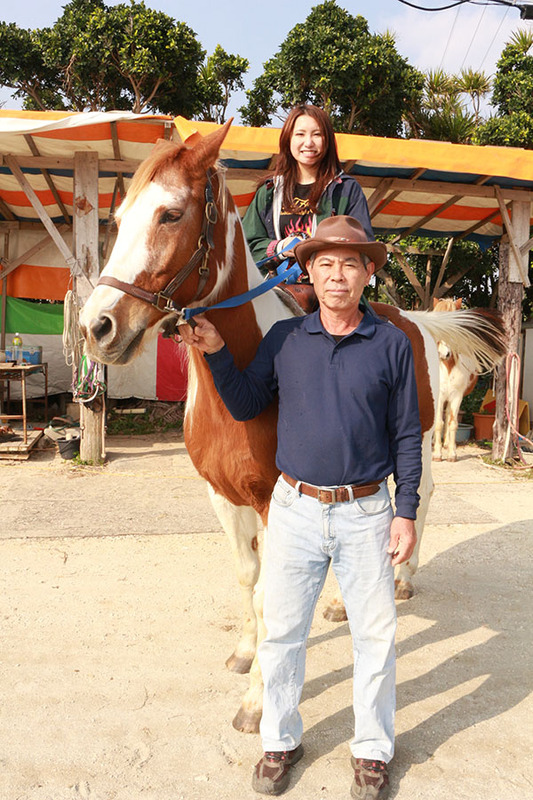 A passion for horses prompted the owner, Kazuyoshi Tamaki, to establish these stables eight years ago. 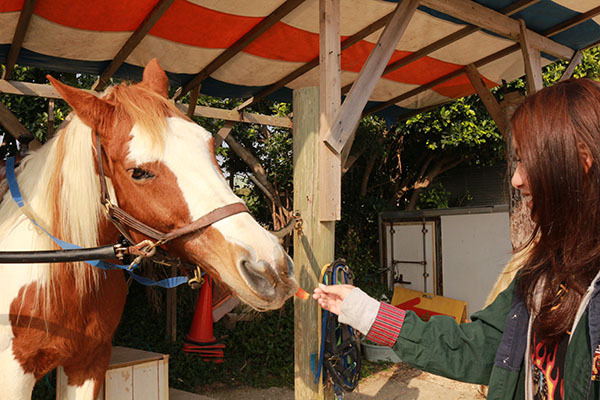 He used to use a carriage as transportation in childhood and surely loves horses, but cares for other animals as well. You can also pet and play with goats, ponies, rabbits and other kinds of animals here.